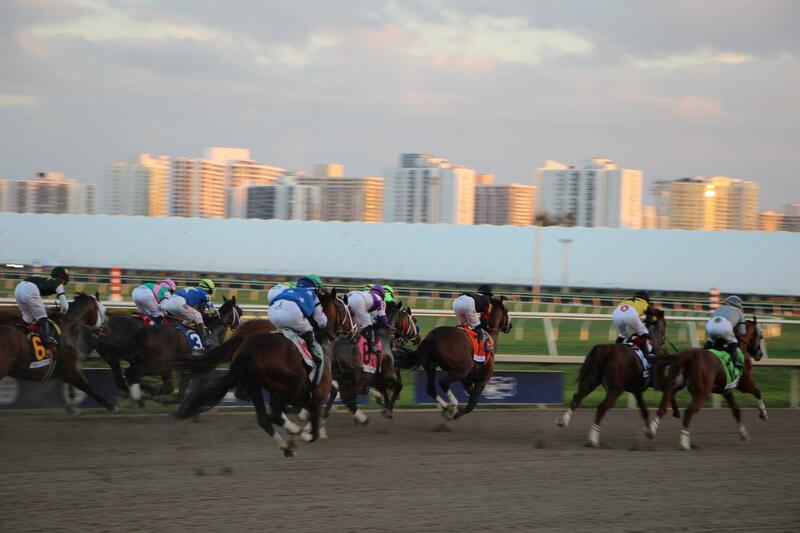 The Pegasus Cup at Gulfstream Park drew thousands of spectators. More than 16,000 people bought tickets for the inaugural race. They placed more than $40 million in bets. They also poured money into the local economy, staying at hotels and eating dinners out. Tim Ritvo is President of Gulf Stream Park and the Chief Operating Officer of the Stronach group. He says many of those people came for a chance to watch two of the world’s best known horses—California Chrome and Arrogate. And he says, that’s part of the reason the Stronach group, which includes several pari-mutuel tracks and a Florida horse breeding operation, founded the race. Ritvo says Chrome is one of those heroes. California Chrome, perhaps the best known horse of current time, is racing against Arrogate, a well-known up-and-comer, and ten other horses. The race has drawn spectators from across the country. Laurie Robinson traveled more than 1,000 miles from Oklahoma for the race. “We came all the way here to see California Chrome because we love him. He’s a wonderful horse. Win or lose whatever. He’s great,” Robinson said. California Chrome, pictured on the far right in lime green, is one of the best known current race horses. He will retire to stud for a $40,000 fee. 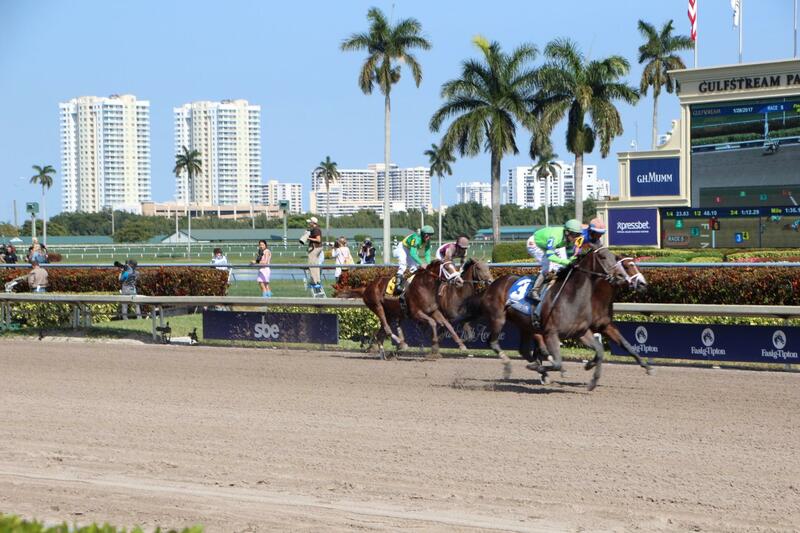 Dozens of horses raced the day of the Pegasus Cup at Gulfstream Park, but as the last twelve entered the starting gate a new energy buzzed through the stadium. Celebrities gave interviews, politicians waved from box seats and the crowd pressed toward the rail along the outside of the track. Chrome wasn’t the winner in this race. He lagged behind and his jockey pulled back letting him fall into ninth place. Shaman's Ghost, a horse bred at the Stronach group’s Adena Stables which operate in Florida and Kentucky as well as Canada, took second. Arrogate surged to first. He completed the 1 1/8th mile race in record time for the track. California Chrome will retire a hero—and one of the richest horses in history. He’s also paving the way for a new hero for spectators like Robinson. “I don’t know if it’s Arrogate or it might be—oh, I know exactly who it is. It’s Looking at Lee,” Robison said. Perhaps race-goers will get a chance to see Lee in next year’s Pegasus Cup. Those involved are already saying they expect for it to be an amazing race. *Editor's note: This story has a corrected spelling of Arrogate, due to a typo it was previously spelled Arogate.